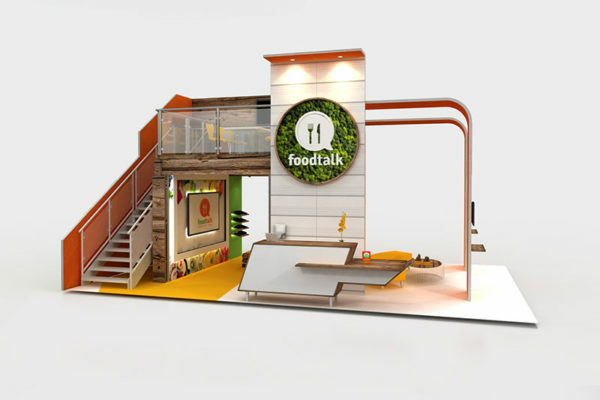 Two story exhibits, aka double deck booths, are becoming more popular these days for exhibitors. 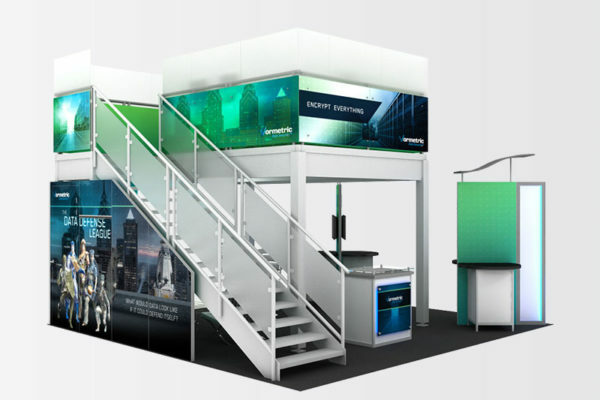 Double deck booths allow exhibitors to maximize their space with room on the second story for lounges, conference rooms or even private demo rooms that create a VIP experience. 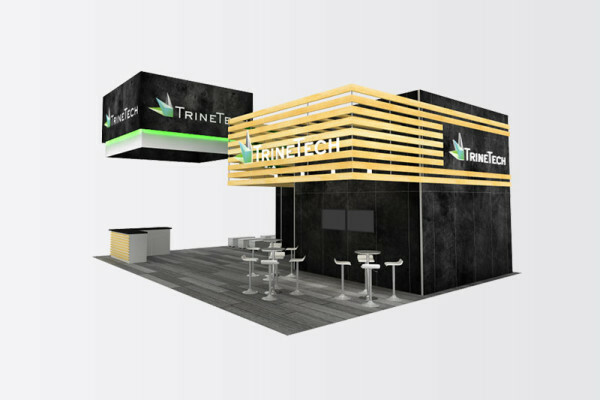 Double deck exhibits can allow exhibitors to gain more space without the expense of renting a larger floor space. The double deck booth structure can be used in spaces as small as 20x20. Double deck exhibits project a solid image of stability and portray your company as an industry leader. 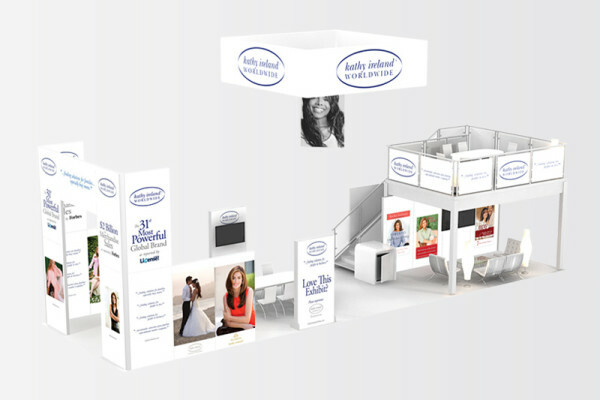 With ExpoMarketing, you can select from a variety of exciting double deck booth rentals. 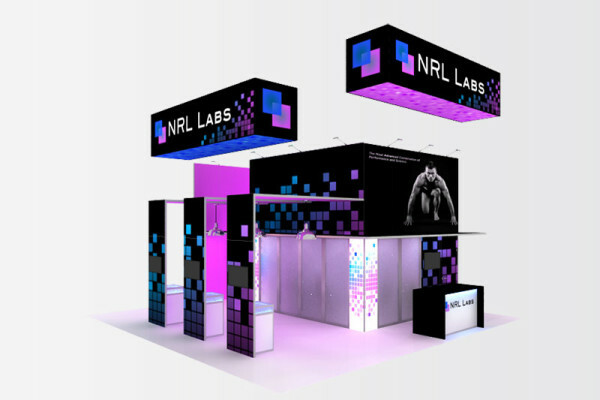 Our double deck exhibit rental structures occupy a minimal footprint, allowing you to use them in a smaller booth space. 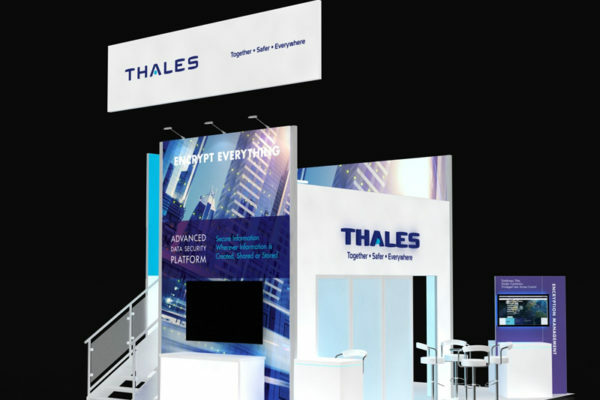 With a larger space you can add a tower, lounges, additional meeting rooms, product displays and demo stations, a theater, or whatever else you need to accomplish your goals. 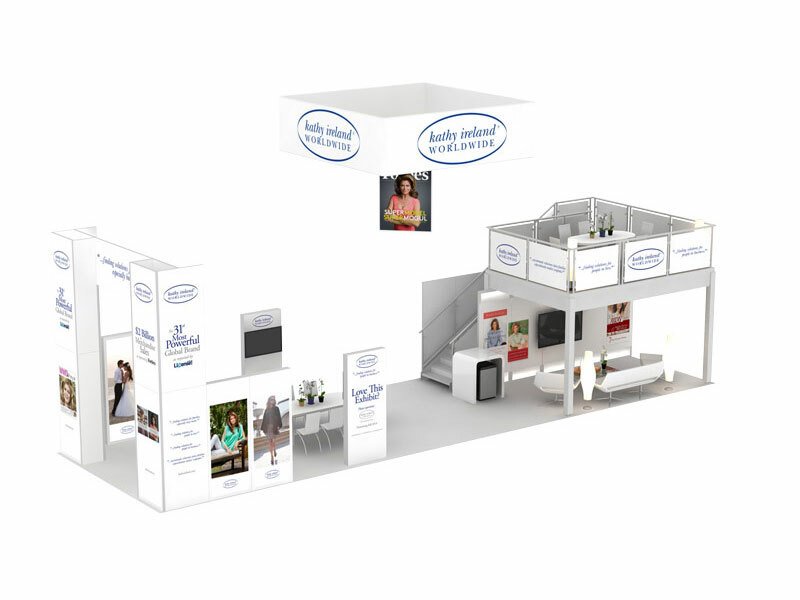 Our award-winning exhibit designers will help you create the perfect double deck booth. 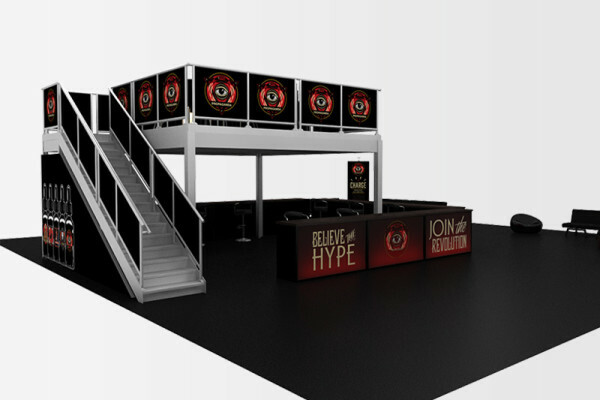 Let our industry leading creative team design eye-catching graphics that will bring your double deck exhibit to life. Our double deck rentals allow plenty of opportunities to incorporate vibrant signage into your display. Double deck booths tend to rent out early. There is limited availability of double deck rental exhibits because of their popularity. Double decks also require more advance planning than an island booth rental. 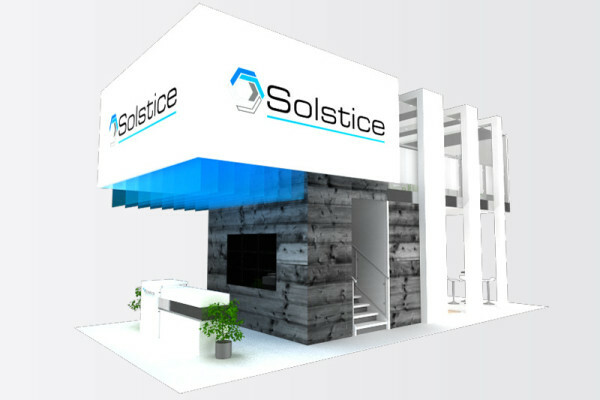 Most trade shows require submission of detailed engineering certified schematics to the show contractors and fire marshals for approval, sometimes as early as three months prior to the show. 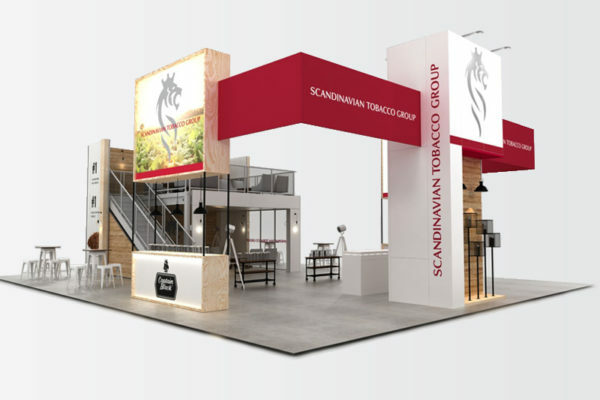 Let our Concierge trade show coordination team will take care of obtaining this approval for you, but you need to start the design process early. 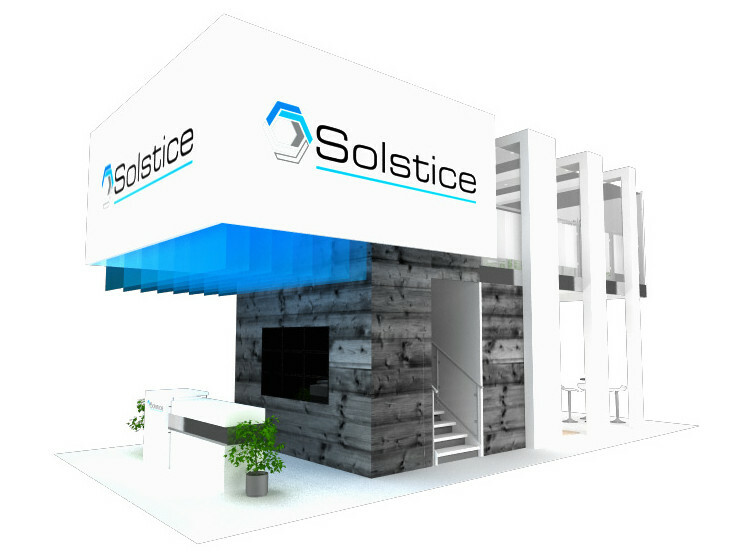 Not sure whether a double deck booth is the right type of trade show booth rental for you? 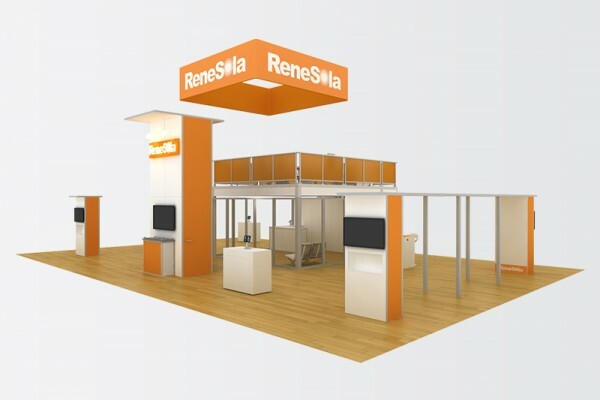 Did you know that trade show exhibit rentals provide savings of up to 40% over purchasing? 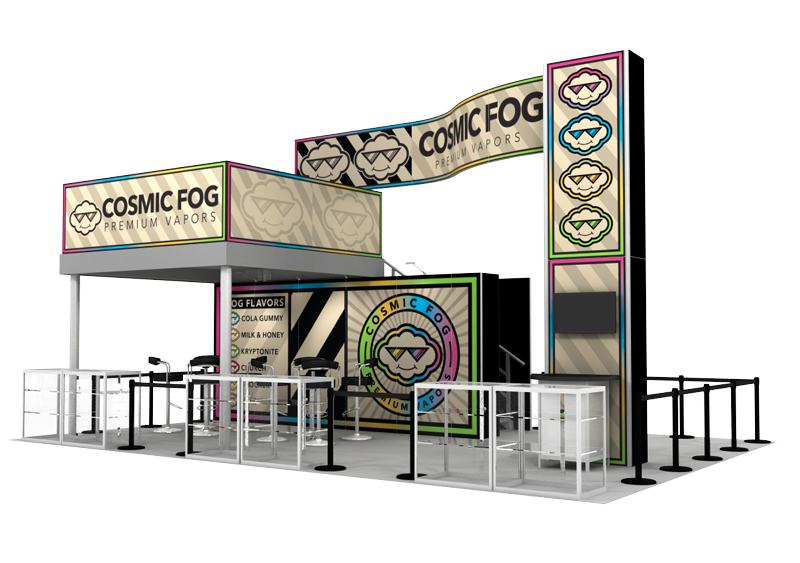 Look to ExpoMarketing, the premier exhibit rental house in Southern California, to design the perfect double deck rental booth for your next trade show. 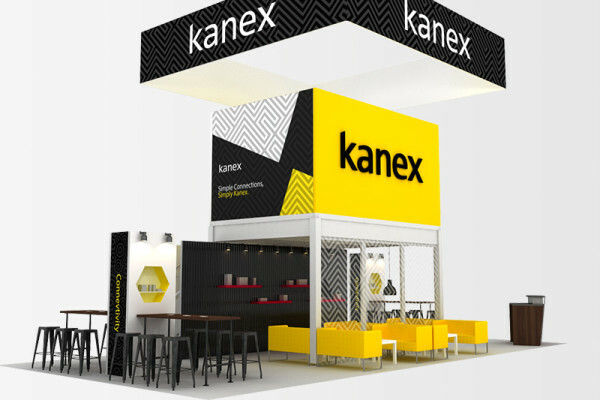 Our award-winning design team will guide you through the process and create a double deck rental exhibit that will exceed all of your expectations. Our Concierge team will assist you with navigating the rules and regulations that are unique to double deck exhibits. If you aren’t sure whether a double deck exhibit is right for you, we will help you decipher the pros and cons. Don’t forget to plan early!